The Google Jump is a 3D, 360-degree camera rig design that’s been used by companies such as GoPro in the Odyssey camera. It has amazing image quality but costs about $15,000. 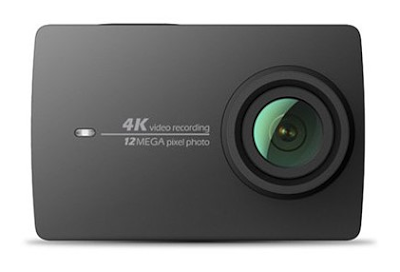 At the 2016 Google I/O developers’ conference, Google announced that Yi, makers of the famous XiaoMi Yi GoPro clone, will make a Google Jump rig available later this year, based on “their 4k camera.” By that I think they mean the recently released Xiaomi Yi II, with a Sony IMX377 12mp 1/2.3-inch sensor. It would very likely be a lower-cost version of the Google Jump, although there was no word on the price of the rig. The current price of the Xiaomi Yi II is about $250, which at about half the cost of the Hero4 Black, may mean a rig that is about half the price of the GoPro Odyssey. Google also announced that they will be working with IMAX on a cinema-grade Google Jump camera. I speculate that this also implies that IMAX will also be working on an almost fully spherical movie theater (by comparison, the IMAX Dome / Omnimax is 180 degrees). Thanks to @MikeCane (Atomic Supermen blog) for bringing this to my attention! DPReview launches VR camera forum!